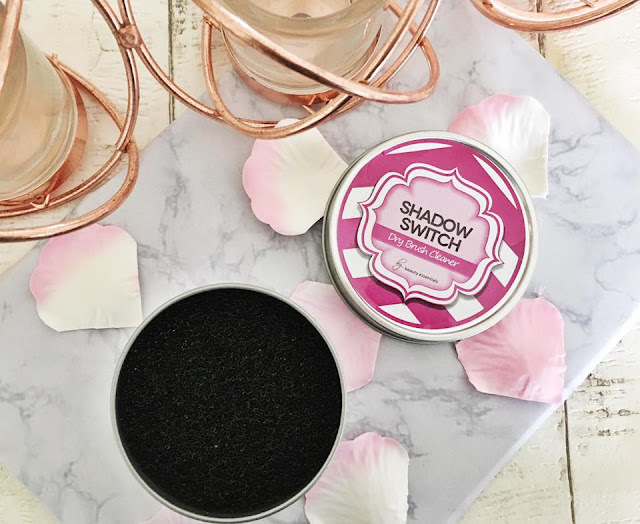 Todays post I am going to be reviewing a product which was kindly sent to me by Beauty Essentials, this products is called 'Shadow Switch' it is a dry brush cleaner, I know right what?! This product is literally every beauty addicts dream, I know I personally have a handful of favourite brushes I like to use for different shades when creating a makeup look. 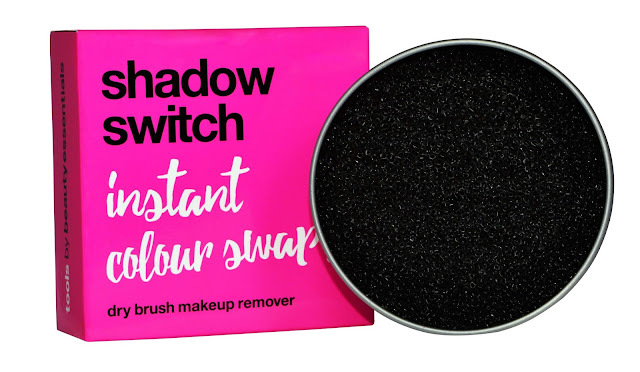 I know there are spot cleaners which essentially do the exact same thing but I find they leave my makeup brushes feeling damp which seems to affect how my shadow applies. 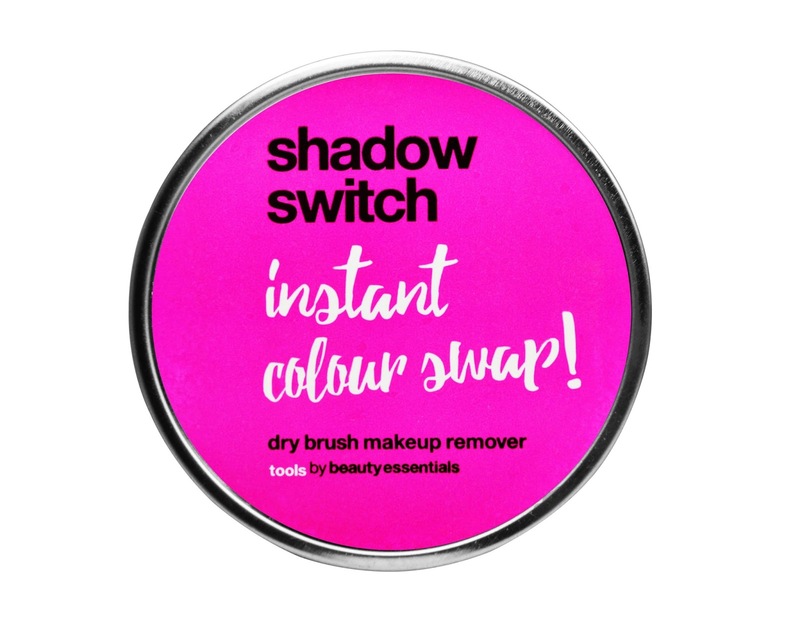 However this amazing little beauty is a DRY, yes you read right a dry makeup brush cleaner which can be used to clean your brushes if you want to 'switch' colours. Not only is this an amazing product it's also super easy to use, all you need to do is pop the lid off and swirl your brush around and voila! When I received the email about this product I was so intrigued but also a little skeptical but let me tell you it works so well! You can find this amazing invention on Amazon (until their website launches) retailing for £5.99 which is super inexpensive, it is also washable and re-useable! Since receiving this product I have been using literally everyday, I can't get enough! What do you think of the concept of this amazing new product? Oh, this sounds like such a good idea! I hate cleaning my makeup brushes! This is a great idea because you don;t have to go and buy one million brushes!!! And so affordable! Thank you for the suggestion!! Wow! This sounds amazing! I hate washing my brushes it's the worst chore, this little invention would definelty get used on a daily basis. Fab idea! Will definitely be checking this out thanks for sharing! I have never heard of this but looks stunning.